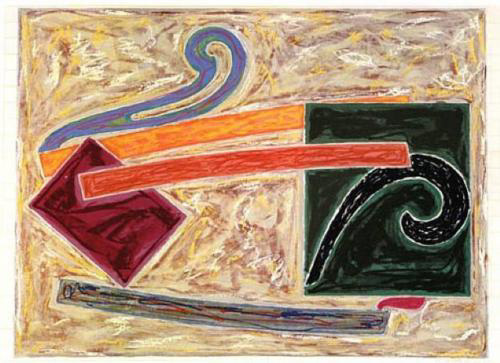 When Frank Stella moved to New York in 1958, at age 22, he had graduated from Princeton and just wanted to to paint. “I wasn’t thinking of becoming an artist.” he said, “I just wanted to make things and paint for a while.” That “while” has continued for the past sixty years, with Stella’s work continually evolving, even today. 1958 was an exciting time for young artists in New York. Young artists, writers and poets like Jasper Johns and Robert Rauschenberg, Allen Ginsburg and Jack Kerouac were hanging around the Cedar Tavern in the Village. Their works were embraced by art dealers and literary agents and they formed a supportive and energetic community. Stella’s idea of painting a ‘picture as object’, rather than a representation of something, led him to do his Black Paintings series, using commercial black enamel paint and a house painter’s brush. 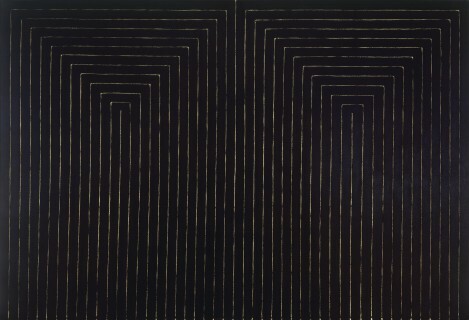 Simple as they are, the black paintings had a profound impact on mid-century art and artists of successive generations. His idea of a painting being “a flat surface with paint on it – nothing more” rocked the art world at the time and, eventually, led to Stella being given a MoMA retrospective in 1970, making him the youngest art to be given such an honor. After Stella did his Black Paintings, he began to add color and form to his work and shapes to his canvasses. He also expanded his work to include lithography, screen printing and etching. 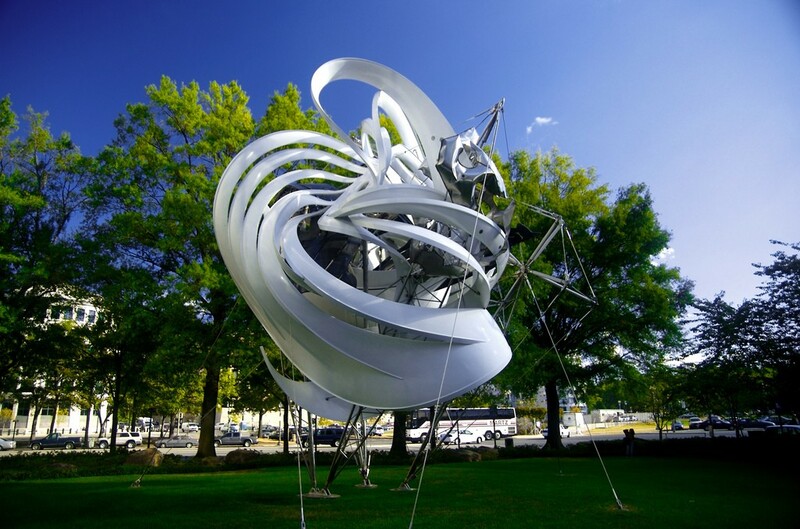 During the 1970s, Stella began to introduce measured, architectural and sculptural components to his work. Toward the end of 1977, Stella visited friends in Ahmedabad, India, where he made maquettes of drawings that he had brought with him. The drawings became layered sculptures that he made of found metal. Through the years, Frank Stella’s work has become more expansive, both in terms of size and medium. Overall size : 372 x 468 x 408 inches. Stella’s works are on display, and part of the permanent collections, of major museums and galleries throughout the world. Please contact us if you would like more information about Inaccessible Island Rail, Sinjerli Variation 111 or any of the other fine work at the Surovek Gallery.  Please contact us if you would like more information about the works of Frank Stella or any of the other fine art work available at the Surovek Gallery. Stella McCartney. 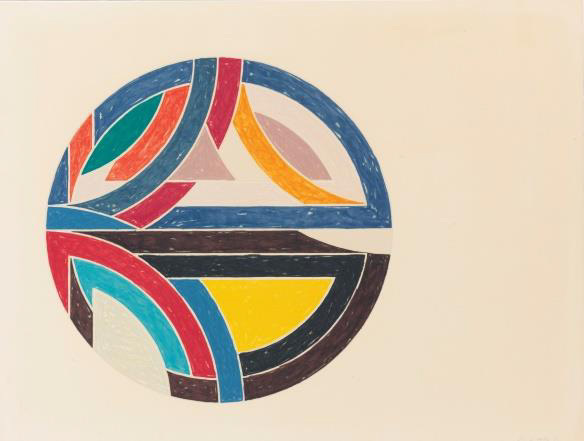 Frank Stella. Interview Magazine. November 10, 2014. Roberta Smith. 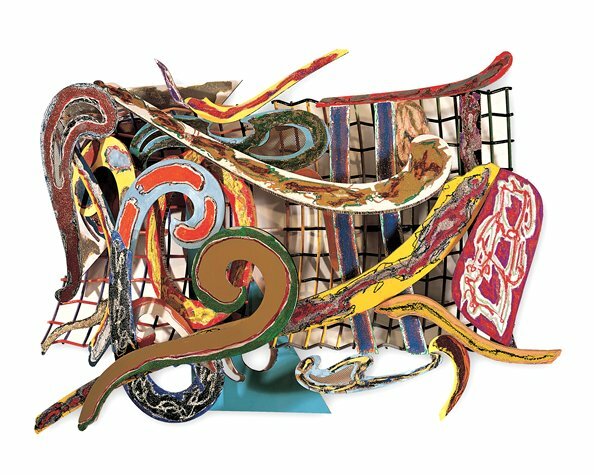 Tracking Frank Stella’s Restless Migrations (From Painting and Beyond). The New York Times. October 29, 2015. Nadja Sayer. Frank Stella: If you get into art to make money, you’re deluded. The Guardian. September 1, 2015.